✓ Ian Brett “Captain Vancouver” is a Real Estate Superhero because he works FREE for home Buyers! ✓ Ian also helps buyers negotiate the best deal possible using his super human negotiation skills from Queens University. ✓ He created the very first interactive TV show in Canada called ‘the Home Show’ for Rogers Cable and has now created a new custom search system to search for homes which allows him to quickly ‘zoom’ in on exactly what you’re looking for and help you ‘win’ over other buyers. ✓ Ian Brett “Captain Vancouver” created a custom site http://jollygoodshow.ca that shows all the Open Houses in the Lower Mainland so you can get a jump on the competition. ✓ Ian Brett “Captain Vancouver” went to Queens University to specially train under the best ‘negotiators’ in Canada in the art of negotiation. You’ll have a better chance at winning over the competition and securing the best deal for your home. When you buy a home through Ian Brett “Captain Vancouver", not only will he move mountains to find you the perfect home at the perfect price. He makes buying a home a worry-free fun experience. For example if you are searching for vacant land to build a home, www.YourKeyToLand.com has been automatically programmed to summarize all the available land in each city within the lower mainland. The following websites are part of the YOUR KEY series of websites that helps you easily search for homes and property. The trademarks REALTOR®, REALTORS® and the REALTOR® logo are controlled by The Canadian Real Estate Association (CREA) and identify real estate professionals who are members of CREA. 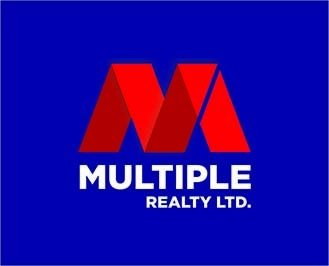 The trademarks MLS®, Multiple Listing Service® and the associated logos are owned by CREA and identify the quality of services provided by real estate professionals who are members of CREA. The intent of this communication is for informational purposes only and is not intended to be cause or induce breach of an existing agency relationship. Ian Brett is a member of the Real Estate Board of Greater Vancouver (REBGV), in beautiful British Columbia, Canada. Captain Vancouver is a registered trademark. Copyright ©2018 Ian Brett. FREE Realtor® representation for BUYERS and SELLERS get cash back* My fees are paid out the sellers commission that is shared between buyer and sellers agent. Sellers who list their homes for sale with me will get cash back.